"Altered" is chocked full of creative premises. Using Rems to wage a war on a hidden planet, a completely alternate ending to World War II, a man-made alternate reality--the list goes on and on. Unfortunately, what "Altered" lacks is the follow-through and depth to take these concepts from interesting ideas to amazing stories. The events happening in Adelice's life are definitely interesting, but if you think even a little bit too long about the reasoning tying events together you'll realize that most if the time things just don't add up. The plot is not the only problem, however. The interactions between characters, particularly anything involving Adelice, feel very fake. Conversations are flat; if you read the dialogue out loud to yourself, the way people talk to one another doesn't sound like real life at all. The love triangle totally lacks any and all chemistry. The only times when characters talk to one another and it feels real are scenes involving Meria, and that is probably due to the fact that Meria is supposed to be a shell of a person, totally devoid of any emotion or humanity. I was patient and stuck it out until the end of this one, hoping that somehow the ending would blow me away and make up for all the flat, emotionless story I trudged through. 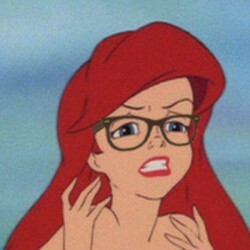 It did not. The ending is just as unbelievable, dull, and badly executed as the rest of the book. 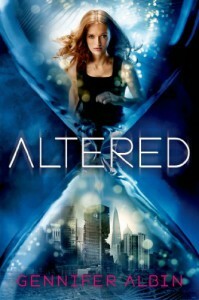 Overall, I was very disappointed with "Altered". All the characters are entirely too flat and the relationships between them are underdeveloped, resulting in little to no chemistry and crappy dialogue throughout the entire book. The plot is full of interesting premises that are as incomplete as the characters. After struggling through the second book in this series, I am honestly not sure if I will be giving the third book a chance. If I happen to stumble upon it at my local library I might give it a shot, but I am definitely not going to waste money on it.